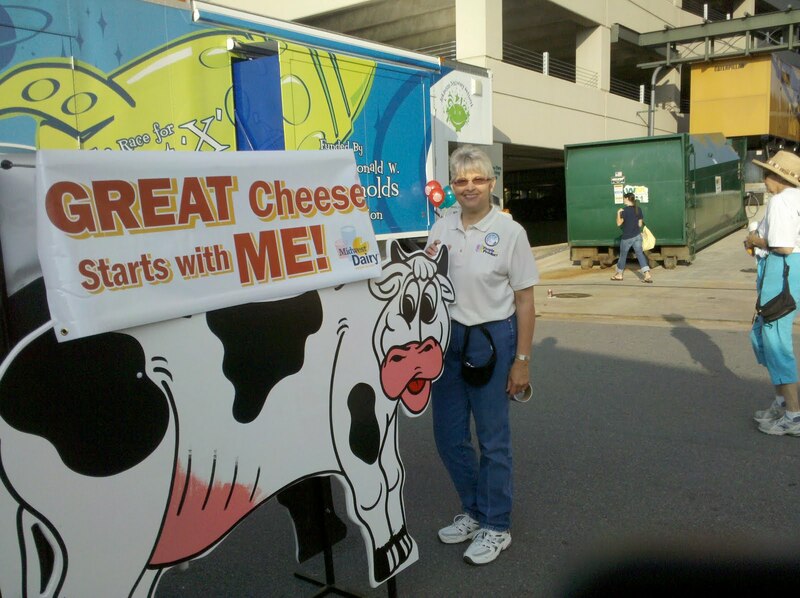 Dairy moms love to promote dairy products to consumers of all ages. 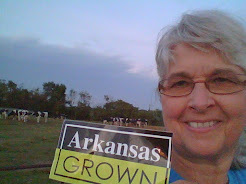 Yesterday dairy mom Shannon from Missouri and I met in Little Rock to participate in a dairy promotion at the Dino Dash. Dino Dash is a fundraiser for the Museum of Discovery which strives to ignite a passion for science,math, and learning among children. 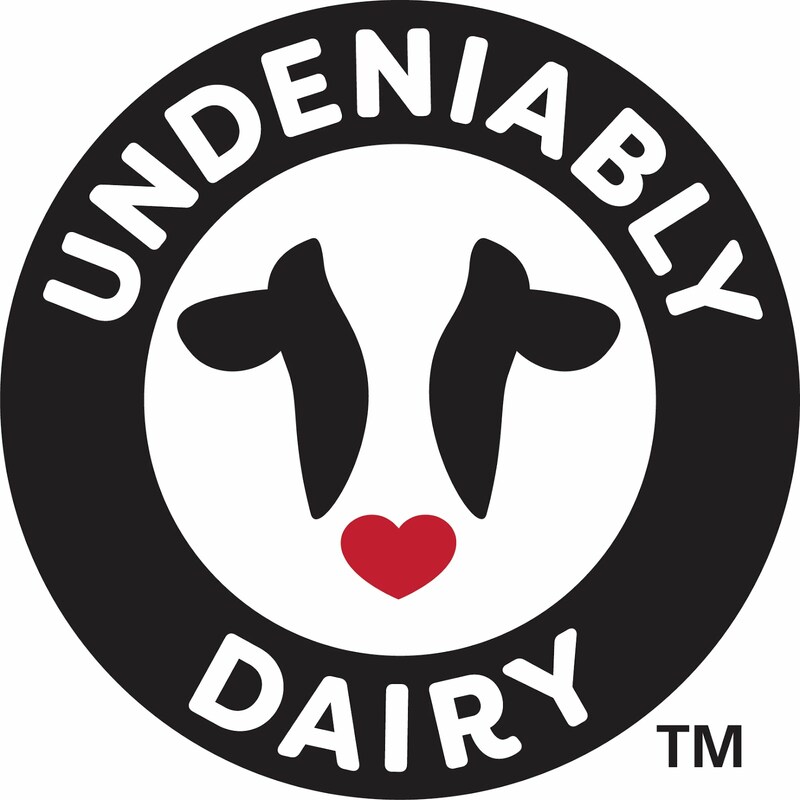 As a sponsor for the Dino Dash 1K and 5K run,Midwest Dairy Council was a perfect fit for promoting physical activity, good nutrition and our Fuel Up to Play 60 program. We provided chocolate milk for refueling the runners, offered information about dairy nutrition and presented awards on behalf of dairy farmers to the largest 1K and 5K school team that paticipated in both Fuel Up to Play 60 and Dino Dash. 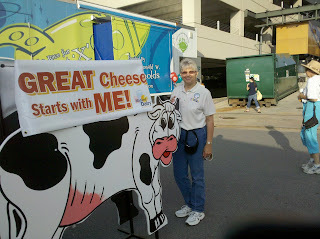 Our most fun activity was watching the kids and a few adults milk Sophia the simulated cow. Sophia is a life size replica of a black and white Holstein cow designed to hold colored water that looks like milk complete with four milking quarters. She also has a terrific happy smile! Kids are amazing to watch in their approach to Sophia. Many milked her like professionals and those that were timid in the beginning quickly became experts. Sophia presents a great opportunity for us to talk to consumers about where their milk comes from and what we do on the farm to provide this great product. As we were packing up our booth and pushing and pulling Sophia into the truck to head for home, I couldn't help but chuckle and think about what Sophia might tell us if she could talk!